The main complaints in fillers are short duration and low volume effect, having both a direct impact on the total cost of treatment paid by the patient. Having this in mind and after more than five years of research, in 2005 ADODERM developed the 'Monophasic Particle Technology' (MPT), offering multiple benefits for doctors as well as for patients. Non cross-linked hyaluronic acid in its basic state. WHY IS THE CROSS LINKING PROCESS SO IMPORTANT? Due to the natural aging process of the human skin hyaluronic acid is quickly degradated after the injection. The best way for recovering loss of facial volume is the injection of hyaluronic acid into the different skin layers. To prevent the fast degradation it is important to use cross-linked hyaluronic acid. By increasing the cross linkage of the different units of hyaluronic acid, a stronger barrier against the normal degradation is created. The traditional processes for obtaining hyaluronic acid do not achieve the optimal durability after injection in the skin. 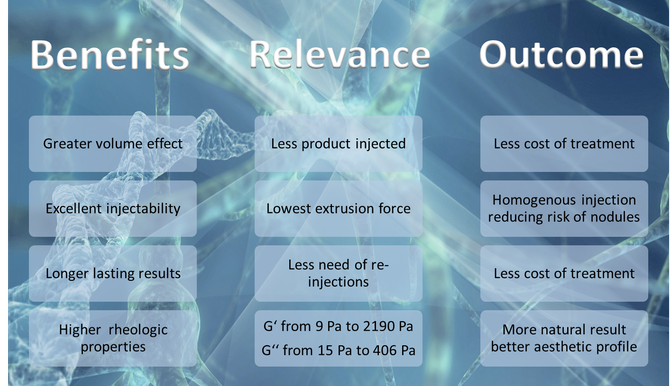 This is why ADODERM GmbH has chosen to develop its own process for a longer durability in the skin. WHAT IS THE DIFFERENCE BETWEEN CROSS LINKAGE AND CONCENTRATION OF HYALURONIC ACID? 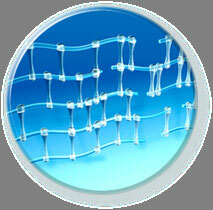 Cross linkage of hyaluronic acid extends the durability of the treatment. 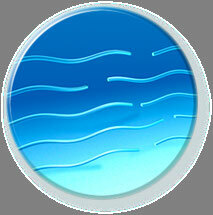 It refers to the connection between the individual units within the gel. The stronger the cross linkage, the longer the durability. The concentration of hyaluronic acid points out the amount of hyaluronic acid powder mixed with a solution. It is indicated in mg/ml. The lower the concentration, the less water will be absorbed within the skin. 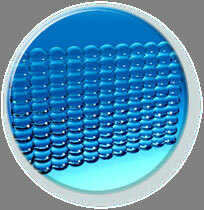 It is crucial to adapt the concentration of hyaluronic acid to the skin thickness. In indications with very thin skin like lips or tear trough, only hyaluronic acid with a low concentration should be injected to prevent unnatural results. VARIODERM® and HYABELL® products offer a range of high and low concentrations of hyaluronic acid with excellent viscoelastic features. Low concentrations with low elasticity are meant for sensitive areas, while high concentrations with high elasticity are meant for the creation of facial volume. In the third stage of our production process each concentration of cross linked hyaluronic acid is formed into an homogenous and stabilized gel of hyaluronic acid particles. As a result we achieve for each product unique rheological features known as G', G'', G* and tanδ, especially adapted to any particular facial treatment. The final result impacts directly on a more natural aesthetic result, the injectability, the capacity of volume creation and the crucial molding and spreading properties for e.g. lips treatment, among other characteristics. This method is described as "Monophasic Particle Technology” (MPT). The term 'Made in Germany' is not a marketing tool. It is a seal of highest quality standards and compliance with most strict regulations. Before the release of each syringe we perform numerous tests and optical controls to guarantee the pureness of our gels. We commit to German and European regulations and controls to guarantee the performance and quality of ADODERM products to doctors and patients.